Webb Insurance Group was formed in 2004 when Laura Webb took over a Nationwide Insurance firm that had successfully served Tampa Bay as well as all of Florida for more than two decades. Since taking over, Laura and her employees have built a firm recognized for its customer service, loyalty and superior offerings. Webb Insurance Group has been recognized for their hard work and dedication to the highest level of customer service on both local and national levels. 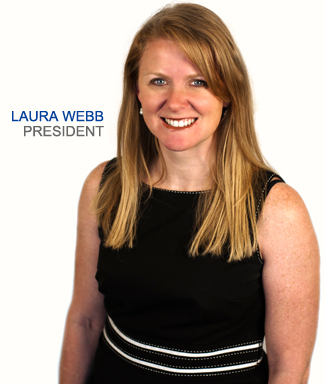 Laura Webb began her career in the insurance industry in 2001 as a workers’ comp claims adjuster with Liberty Mutual. During her tenure with Liberty Mutual, she worked closely with such high-profile clients as UPS, IBM, Kohl’s and Ikon Office Solutions. Laura received her Bachelor’s Degree and Master’s Degree from Florida State University.